Cherry Lynn Walters Tanner, beloved wife, mother, and teacher, was born on June 8, 1942, at Chattanooga, Tennessee and passed away on January 17, 2015, in Little Rock. Mrs. Tanner graduated from Hall High School in 1960, and attended college at All Saints Junior College in Vicksburg, Mississippi, and at the University of Southern Mississippi, graduating in 1964 with a Bachelors of Arts degree in Spanish and English. She began her teaching career at Westside Junior High School in Little Rock from 1964-1967. She later taught at Lawrence A. Dunbar Junior High School from 1976-1983, and at Wilbur D. Mills High School from 1985-2005. During her 30 years of teaching, Mrs. Tanner taught Spanish, English, and Latin. Mrs. Tanner was a longtime parishioner at Trinity Episcopal Cathedral in Little Rock, where she worked as Christian Education Secretary from 1976-1978, as well as serving on the board of the Cathedral Churchwomen, on the Altar Guild and as a Sunday school teacher. 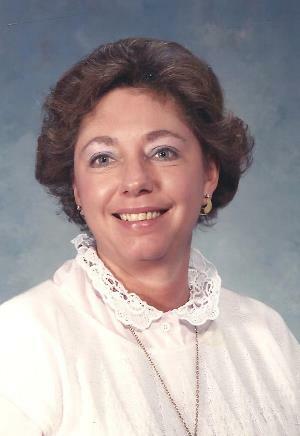 She also was a member of the Phi Mu Fraternity and served as Phi Mu Alumnae Association President. Mrs. Tanner was a committed volunteer in her church and community. Her volunteer activities included teaching Sunday school and vacation bible school, serving as block captain for the Muscular Dystrophy drive, chairing the Ashley County Heart Fund and co-chairing the North Little Rock Heart fund, acting as block chairperson for the Cancer Society, and serving on the board of the Greater Little Rock YWCA. Mrs. Tanner was preceded in death by her grandmother, Robbie J. Lively, and her mother, Arnette Walters. She is survived by her husband, Thomas E. Tanner, her sister, Suzanne Earl, her two sons, Tommy and Michael, and four granddaughters, Elizabeth, Catie, Sophia, and Olivia. A memorial service will be held at Ruebel Funeral Home on Wednesday, January 21, 2015 at 11:00 a.m. A private burial will be held at Roselawn Memorial Park. Arrangements by Ruebel Funeral Home, www.ruebelfuneralhome.com.